In November, AWS Lambda introduced Lambda Layers and the Lambda Runtime API. Layers enables you to centrally manage code and data that is shared across multiple functions and the Lambda Runtime API provides a simple interface to use any programming language or specific language version for authoring your functions. 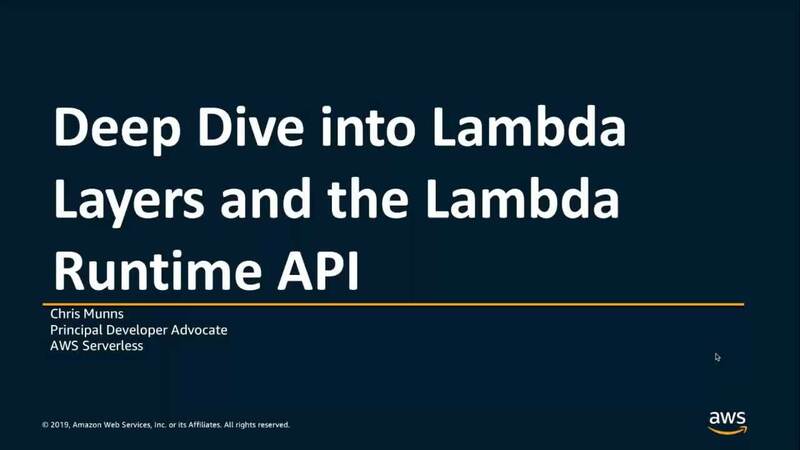 In this tech talk, you’ll learn how to use Lambda Layers to enable re-use and sharing of code, and how you can build and test Layers locally using the AWS Serverless Application Model (SAM). You'll also learn how to run any language on Lambda using the Lambda Runtime API.